The words and the images in the first two panels of today’s strip don’t seem to align. It looks like the Mudlarks are dressing into their road uniforms in a locker room that doesn’t quite look like Milford’s. Then again, there’s not a great deal of variability in high school locker rooms and it’s been established that Milford teams practice in their game uniforms (occasionally accessorized with pinnies). They’re wrapping up practice before the road trip to Danbury and Andre is trying to impress upon scrawny Marcell that making That 70’s Show references is Marginal Mike Filion’s schtick even though this is only the second time we’ve seen him do it. 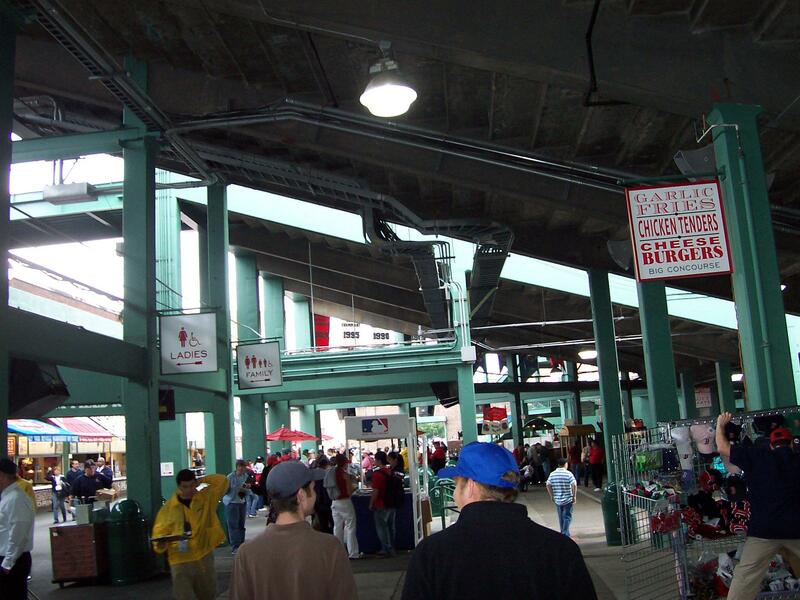 On to the game action, where it looks like the Mad Hatters play underneath the stands at Fenway Park. No doubt Danbury will bury Milford, which will keep the Mudlarks winless, the billboards fresh, and this plot stumbling forward to an inane resolution. Here’s hoping you all have awakened from your food comas and are gradually easing yourselves into your post-holiday routines. 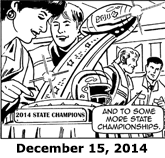 metapost: GoComics hasn’t updated its Gil Thorp page since 12/22. Not sure what’s going on there, but it may mean we’ll be using the color version from elsewhere from now on.